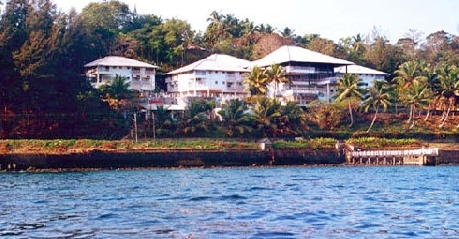 Hotel Fortune Bay Island is located on Marine Hill in Port Blair with close proximity to Sippighat Farm. Hotel is surrounded by natural rain-forest and overlooks the pristine blue waters of the Bay of Bengal. The whole architecture is built of the native "Padouk" wood, the beautiful red timber that is found only on the Andaman & Nicobar Islands. The designers have skillfully reflected the native life of the Islands. Hotel can be reached from Vir Savarkar International Airport which is about 5 km away or from local bus terminal about 2 km away.For recreational activities hotel provides sea-water swimming pool, private movie theatre, indoor games, cyber room, table tennis and library. Travel desk, Doctor on call and currency exchange are some of the guest facilities offered. 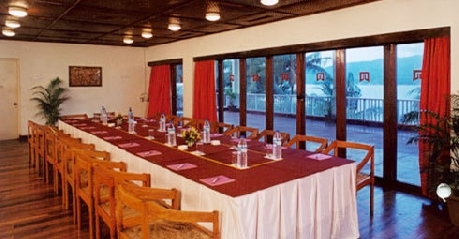 Milah is the well-equipped conference hall with a seating capacity of 100 people that makes it perfect to organize business meetings, corporate events, seminars, conferences and other such special occasions. Fortune Resort Bay Island offers 45 Standard rooms. These rooms are built in a series of levels where the array is split against a sloping hill side. Some of the rooms are overlooking the sea. The fully air conditioned rooms are suitable for leisure travelers, business travelers, families and groups on a holiday getaway to Port Blair. The spacious rooms have a King Sized double bed, executive work desk, wood cabinet for safe keeping, sofa chairs and coffee table. 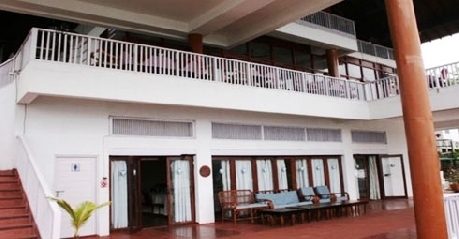 The attached balcony with dedicated seating is to relax and let lose in the scenic beauty of coconut groves lining the shore of Bay of Bengal. The minimalistic décor rooms are wooden floored and provided with stylish curtains and colorful bedding. The room windows open to the beautiful sunset over Bay of Bengal and offer fresh air and natural light in all its glory. The in-room amenities with your stay are – cable television, tea coffee maker, in-room safe deposit vault, direct dialing telephone connectivity with electronic exchange, internet access, complimentary newspaper, laundry service and room service. The attached private bathroom has walk-in shower, hair dryer, hot and cold running water facility and essential bathroom toiletries. 45 tastefully decorated and designed lavish guestrooms of the Port Blair Fortune Resort Bay Island exercises huge appeal on both the business and pleasure guests. 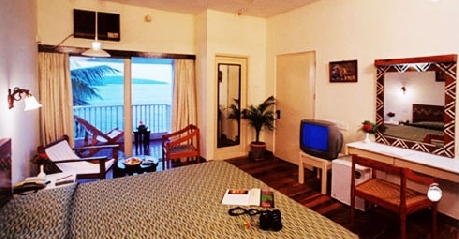 The coziness of the rooms epitomizes the true meaning of the blissful stay in Port Blair. From some rooms the stunning vision of the sea blue water creates an indelible magical spell on the minds of the travelers. 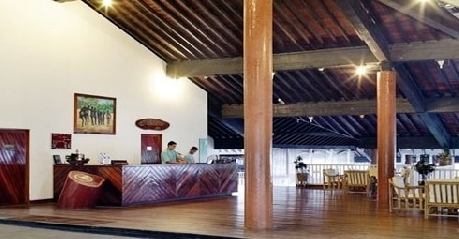 Along with lending every room a unique look, the hotel has also put some most sought after modern amenities to provide basic comforts to guests. These amenities comprise of color television, telephone, attached baths and running hot & cold water. Mandalay is the multi-cuisine restaurant offering by the hotel. This is an open deck with railings setup that provides glorious sea-view to the guests. Open for breakfast, lunch and dinner the expert chefs try their hands on Indian, Chinese and Continental favorites. They are known for their delicious sea food cooked in local spices only. Add to your meal their finest offering of wines and spirits. 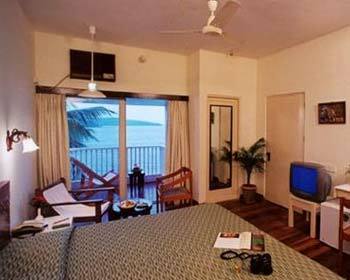 It is also popular among the frequent travelers coming to Port Blair. The Look Out lounge is the buffet offering by the Hotel. Open for breakfast, lunch and dinner it serves only Island specialties. Guests can start with soups and look for local aroma main course. You can’t end your meal without their dessert offerings. The stylishly furnished room is themed on the rhythms of the sea and is given a beach style décor. Guests can look for light meals option as well as main course dining. Nico Bar is completely wood made with wooden roof. Open through the sides, this arena keeps adequate sunlight and ventilation. Guests can grab the inside chairs or walk by the beach shore. Soak into the ambiance and sip into the finest collection of domestic and international wines, beers, alcohols and spirits. Open all day, it is best to appear here after evening hours. They are known for their presentations of wide varieties of cocktails and mocktails. Their signature drinks are tall fruity concoctions that are served in coconut shells. Barbeque by the Pool is an open air setup overlooking the hotel pool. 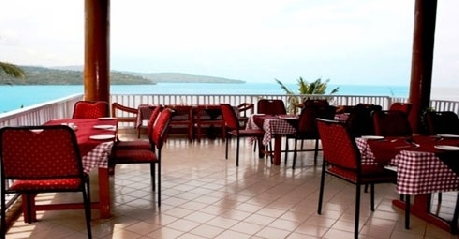 The arena is surrounded with tropical plantation and cool sea breeze adds charm to your dining. Hotel provides a delicious offering of grilled, tandoori and barbequed cuisines. At this live cooking concept, Chefs cook your meal right in front of you as per your instructions. Open for late evening dining, expert chefs work on a variety of day catch sea food and other vegetarian and non-vegetarian offerings. Complement your meal with their alcoholic and non-alcoholic drinks on offer.